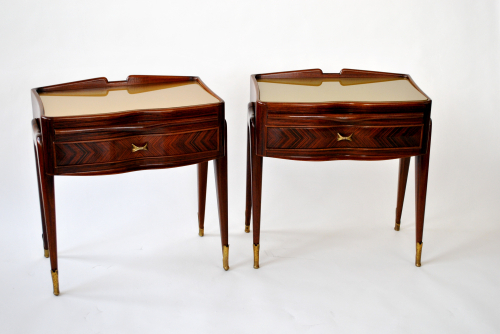 Exceptional pair of Italian 1950`s bedside tables. Beautiful shape with brass sabots. Gold painted glass tops and pull out shelves. Very good condition and all original glass.